Har de sitt eget språk? Do they have their own language? Fengming Lu is a native of China and a fluent speaker of Swedish and other European languages. He was a graduating senior in Political Science in the spring of 2012 when he was enrolled in the European Union Center’s ‘Language and Minorities in Europe (418)’ course and composed this informative blog entry on languages in Sweden. Whenever I mention in the United States that I have studied Swedish as a foreign language, I am often asked the following questions: “Really? Do they have their own language? Do they speak English as their official language, too? Do they speak three languages, French, German, and Italian?” I bet those who ask last question are confusing Sweden with Switzerland. These questions may sound strange but they reflect the fact that people know very little about languages in Sweden. So, here are some general facts. The official state language of Sweden is Swedish. Swedish is a North Germanic language that Norwegians (from Norway) and Danes (from Denmark) can also understand relatively well, which means that Swedish is partially mutually intelligible with other Scandinavian languages. 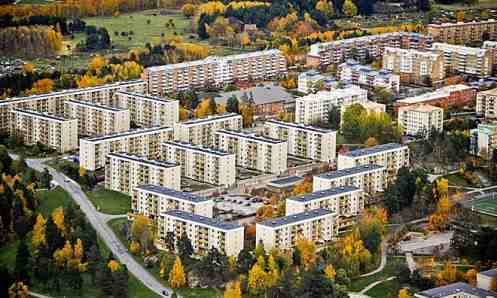 The total population of Sweden is 9,038,000 people across the country. 8,311,739 of these are native speakers of Swedish that has several dialects. According to the 4th cycle report submitted by Sweden to European Council, there are five officially recognized historical minority languages in Sweden; Finnish, Yiddish, Meänkieli, Romani Chib, and Sami. Finnish is spoken mainly by ethnic Finns in Sweden. Many of them live on the Swedish borderland with Finland or are descendants of labor migrants from Finland. Since the 13th century, Finnish has been a provincial language in Sweden and there is a long history of interaction between Swedes and Finns. Finnish is a Finno-Ugric language which is distant from Indo-European languages. Meänkieli (literally “our language”) is a dialect of Finnish mainly spoken by people living around the valley of the Torne River in the northernmost province of Lapland. According to the Ethnologue report on Sweden, there are 109,000 people in total speaking varieties of Finnish in Sweden. Sami is also a Finno-Ugric language, but far from being mutually intelligible with Finnish. There are at least 40,000 ethnic Sami people speaking one of the many dialects of the Sami language in Sweden (yellow area on this map), although most of them speak Northern Sami. Historical minority languages are taught in several high schools and universities in Sweden, but according to the recommendations given by the Committee of Ministers of the Council of Europe, it is still imperative to strengthen bilingual education in Finnish and Sami. Romani and Yiddish are not very prominent. They only have about 9,500 and 4,000 speakers, respectively, but they are considered historical minorities in recognition of their importance for Swedish culture: both Roma and (Ashkenazi) Jewish people have lived in Sweden for centuries. This picture is from the first issue of a Yiddish newspaper published in Stockholm in 1917! It has been proposed that Rinkebysvenska is a ‘multiethnolect’, a variety of Swedish with words and pronunciation features associated with non-European languages that are spoken on a daily basis by immigrants and their descendants in this suburb. Many question the mere existence of such varieites of languages, and the ideological debate is quite interesting. Click here to read more about this. And finally, in response to the initial question I often get: yes, the Swedes have their own national language, but they also recognize many other languages at home.